Vassily Glubochenko was born in 17 May 1957 in Minsk (Belarus). In 1981 he graduated the accordion class of the Byelorussian State Conservatory. In 1993 in San-Petersburg he defended the candidate dissertation, in which was considered the questions of pedagogics of musical creativity, are developing the principles of training in musical improvisation. Since 1981, he works teaching accordion, ensemble, improvisation, computer arranger of music works, at the Byelorussian State University of Culture. 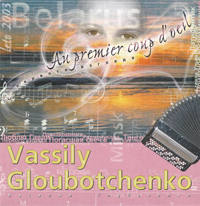 Vassily Glubochenko has composed 3 collections of concert works for accordion. He produced an accordion CD of which he is the composer, arranger and performer. 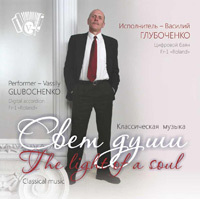 Glubochenko frequently gives concerts in Belarus and abroad. He participated in England, France, Belgium, Holland, Southern Korea as a soloist and in ensembles. 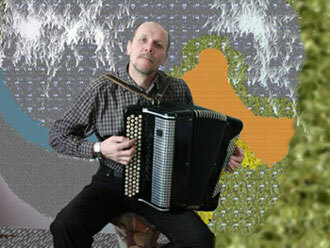 Vassily composes, not only for accordion, but also songs which are frequently broadcast on Belarus radio stations. He is widely known as an expert in the field of pedagogics of musical improvisation. His original method of instructions of improvisation for the accordion has enjoyed great popularity in his country. The compositions and arrangements of Vassily Glubochenko are now being made available to the world and are sent to you by email.